How Long Does It Take for Ground Beef to Go Bad Unrefrigerated? A slab of Kobe beef on a cutting board. 1 How is Pepperoni Made? 2 How Long Does It Take for Ground Beef to Go Bad Unrefrigerated? 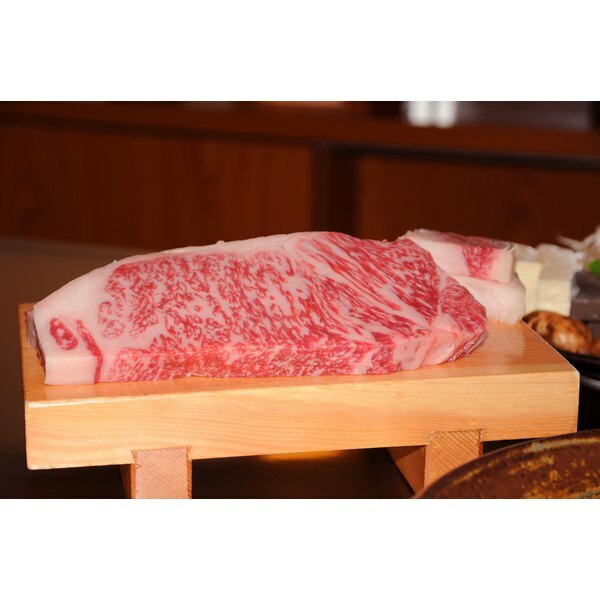 Kobe beef is prized for its tenderness and high degree of marbling. Unless it comes from the Hyogo prefecture in Japan, where Kobe is located, the beef is not truly “Kobe beef.” However, ranchers in the United States have been raising Kobe-style beef since the mid-1970s. While there are some differences in taste and texture, the U.S. raised Kobe-style beef is similar to the authentic version. In this article, you’ll learn how to raise Kobe beef. Purchase a wagyu heifer, preferably a Japanese Black of the Tajima strain. This breed of cattle is the traditional source of Kobe beef. Put the heifer in a pen in your barn. This is where she will spend the majority of her time while she fattens up for slaughter. Feed your heifer a combination of corn, alfalfa, barley and wheat straw, gradually increasing the energy level of the feed mix until she is ready to slaughter at 36 months old. Massage your heifer regularly with oil for about 20 minutes. Traditionally, these massages take place only between May and October, and are thought to soften and better distribute the heifer’s subcutaneous fat. Feed your heifer a bottle of beer if she seems to have a reduced appetite. The beer will stimulate her digestive system, which may shut down due to her confinement. Confinement isn’t absolutely necessary to raise wagyu cattle to produce Kobe-style beef. Bred for intense labor, the cattle’s high concentration of marbled meat is the result of genetics. American-raised wagyu cattle have access to pasture for part of their lives and produce meat of a quality similar to Kobe beef. Increase the grain level of the heifer’s feed gradually. Increasing the percentage of grains too quickly could kill the animal.